It has been a while since I have posted due to the busy times and of course life getting in the way! 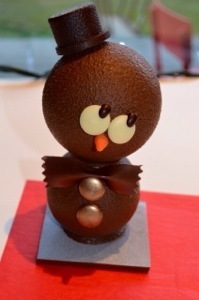 I thought that you should see, taste and put these Must Have Christmas Chocolates of the season on your must try list. Get ready because believe it or not the best continue to get better! 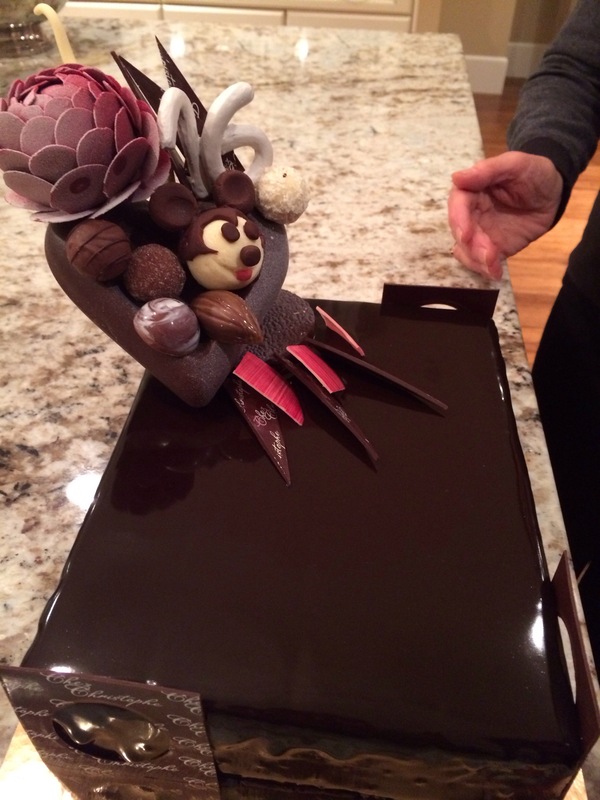 attest to the fact that our city now has more wonderful established and up and coming Chocolatiers & pastry chefs than almost anywhere else in North America. This chocolate not only looks like Christmas on the outside but lays Christmas on your tastebuds from the second it crosses your lips! The Christmas figures are also a bonus for giving to those nice not naughty children to light up those smiles! 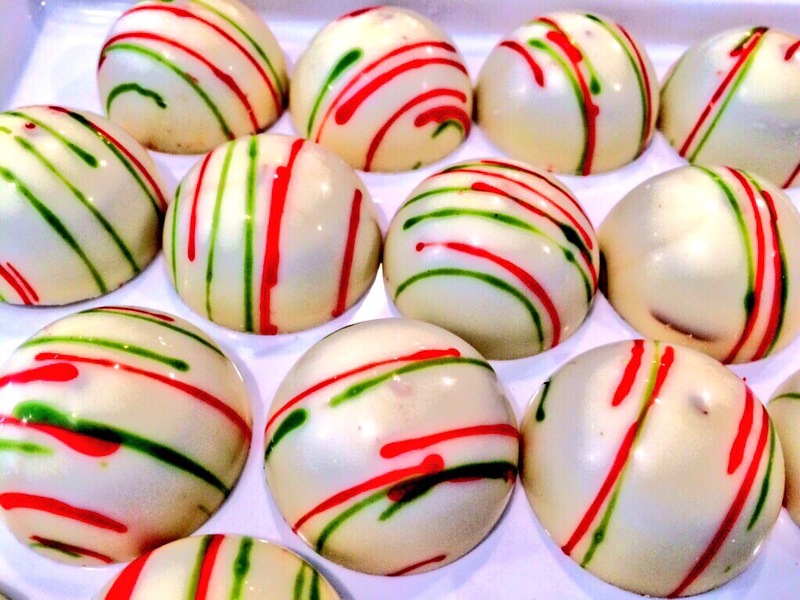 This chocolate is the perfect balance of chocolate ganache and peppermint and says Christmas as it melts in your mouth. 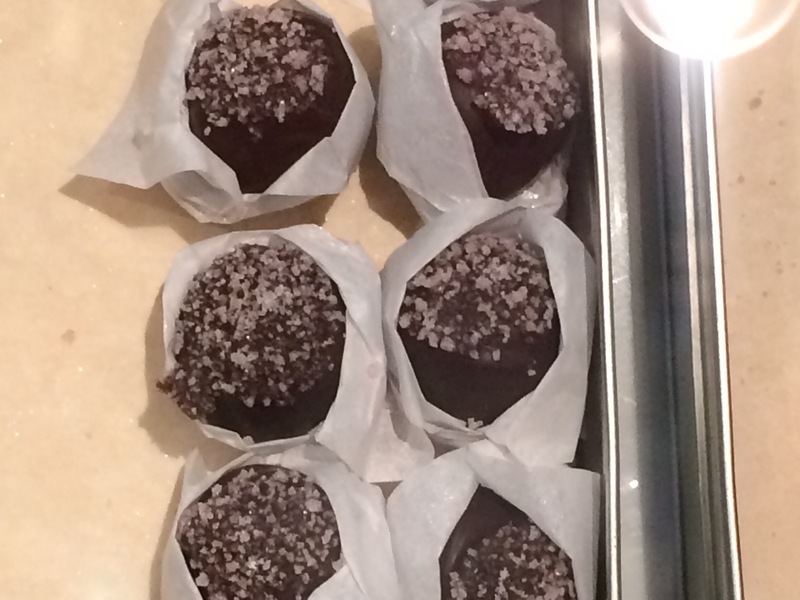 Honourable mention to their Fresh Chocolate or better known as bark. It is from cacao beans roasted in their own factory and organic! 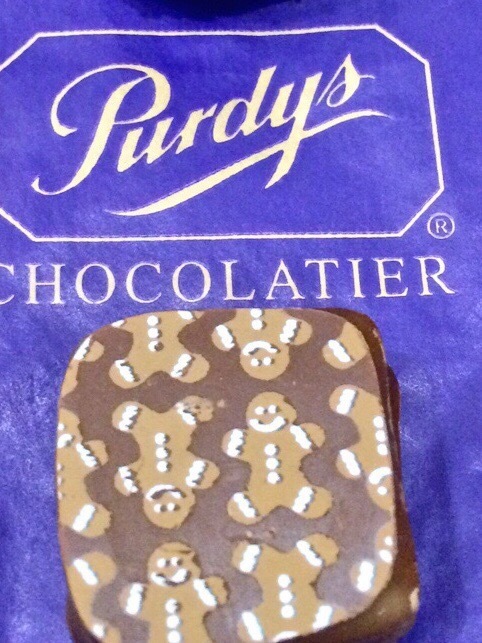 This Chocolate brings you back to childhood and eating a gingerbread cookie. 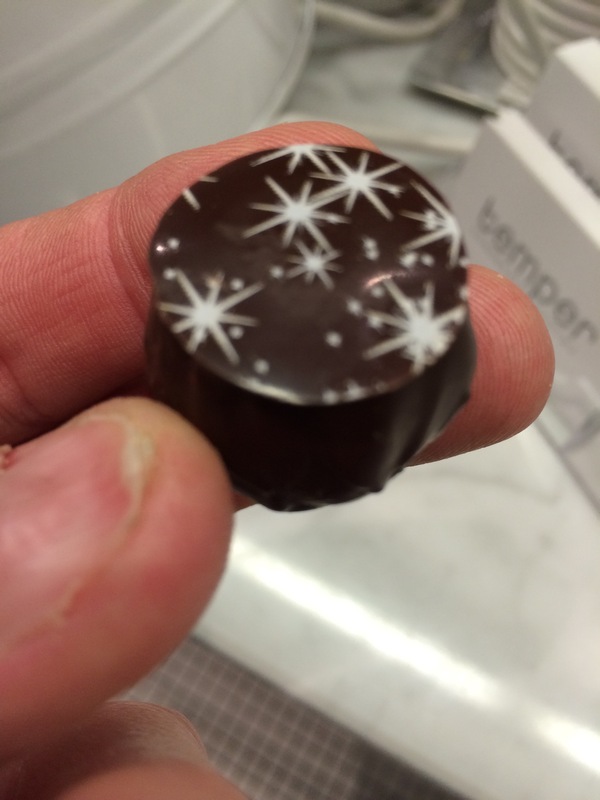 The flavour profile is bang on and the little bits of crunch throughout the ganache is just perfect! 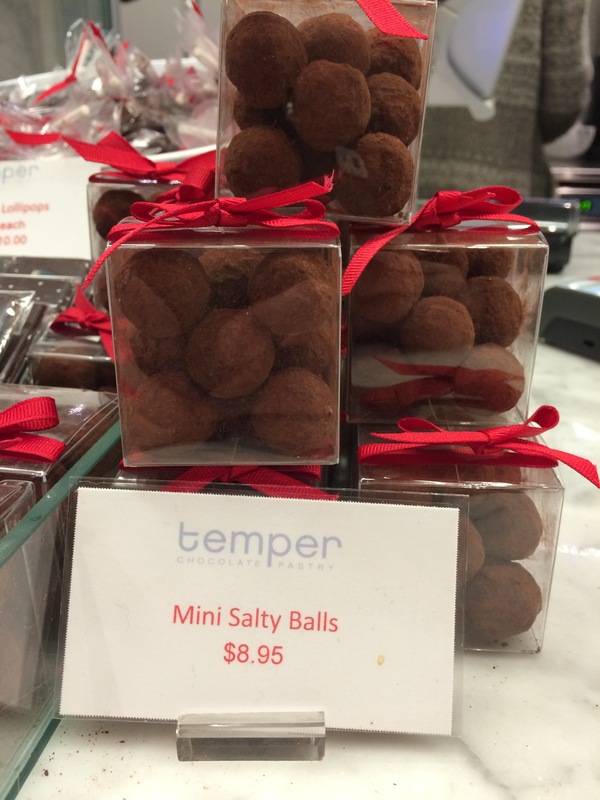 Tempers eggnog chocolate is full of that wonderment that I look for every year in eggnog, a perfect surprise was the salty balls available in normal and mini sizes. 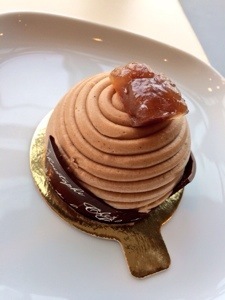 It is a one bite chocolate as the salted caramel filling is liquid and watch out for these ying yang flavours – addictive I’ll say! 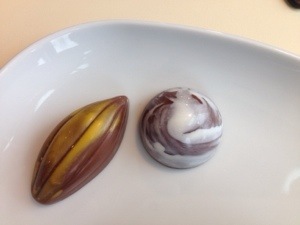 The flavours in these two perfect holiday chocolates are spot on and make you smile as your eating them. 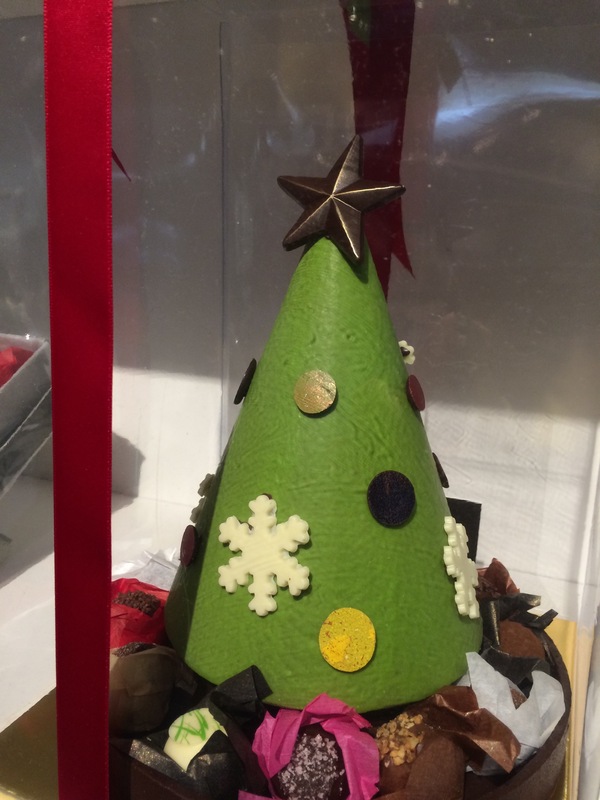 Most of these Chocolatiers / Patisserie masters make other signature items for Christmas such as chocolate figures or Bûche de Noël so I encourage you to get in soon to see your favourites and place your orders just in case. Disclosure: I am not connected to these businesses in anyway shape or form and my opinions are my own. My recommendations are thought out but truly my personal opinions. 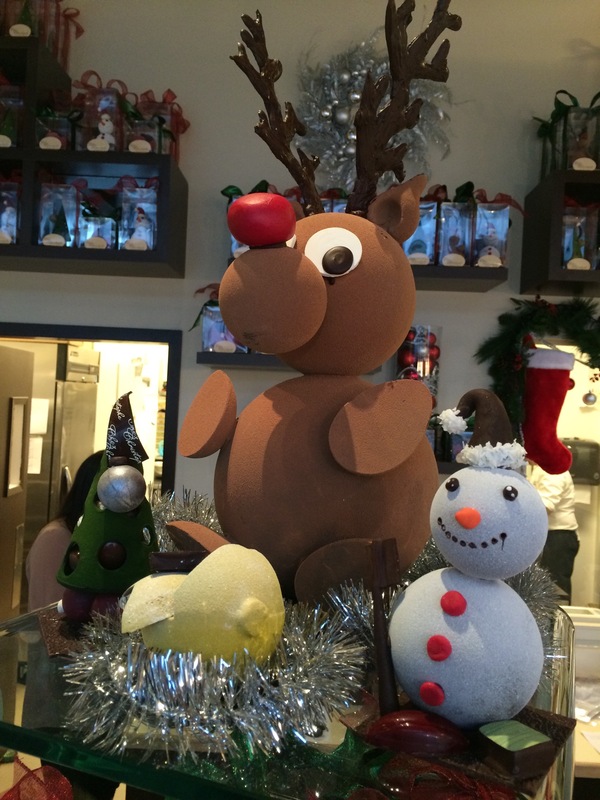 Happy Sweet Holidays to All! 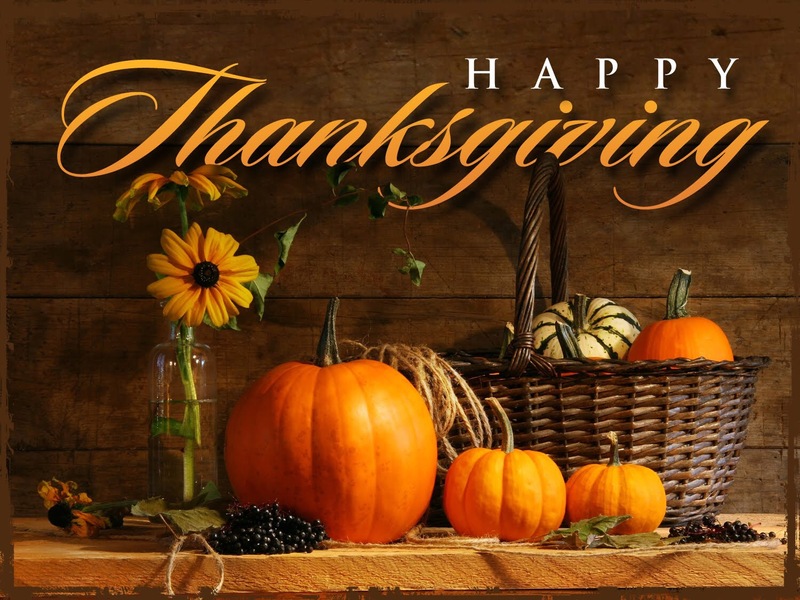 Happy Thanksgiving to all of our great foodie friends and your families! Let’s all harken back to the day where we all sat back, took a deep breath and reflected on all that we are thankful for. Take this time to reconnect, slow down and enjoy the moment with your family and friends. Remember that I always say that it’s the sitting around the table that are the perfect moments and that eating together connects us right to our souls. 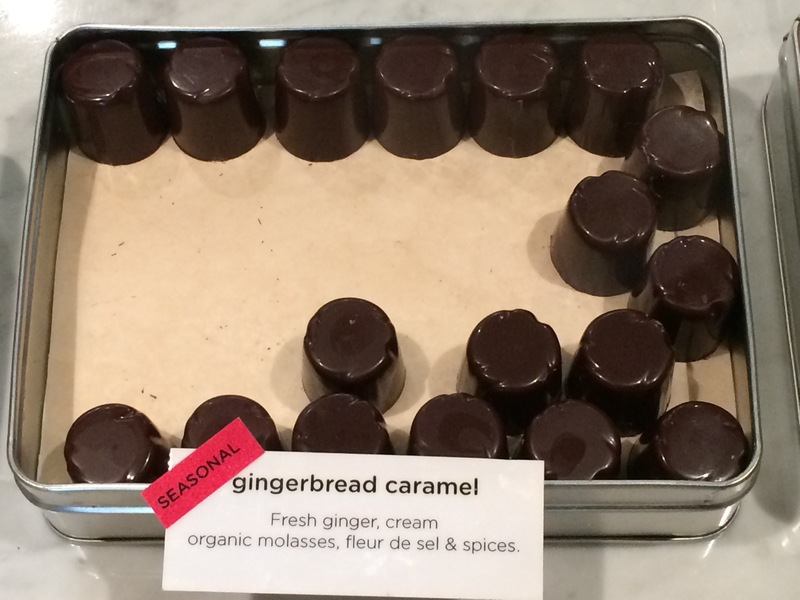 Enjoy the fall flavors, create something new with the traditional twist, wow your family! Please share photos or comments on what culinary wonders hit your tables with us! Stay safe and enjoy the day! Happy Tuesday great foodie friends. Tickets include a copy of the cookbook, 6 tasty soup tastings as well as sweets, gelato and refreshments. Gourmet Warehouse’s Caren McSherry. Rosie Daykin – Butter Baked Goods, Daniel Wagner – Rain City Soups, David Robertson- Dirty Apron Cooking school and deli, Chef Karen – Barnaby, Chef Lesley Stowe- Lesley Stowe fine foods and gelato served by gelato master James Coleridge. 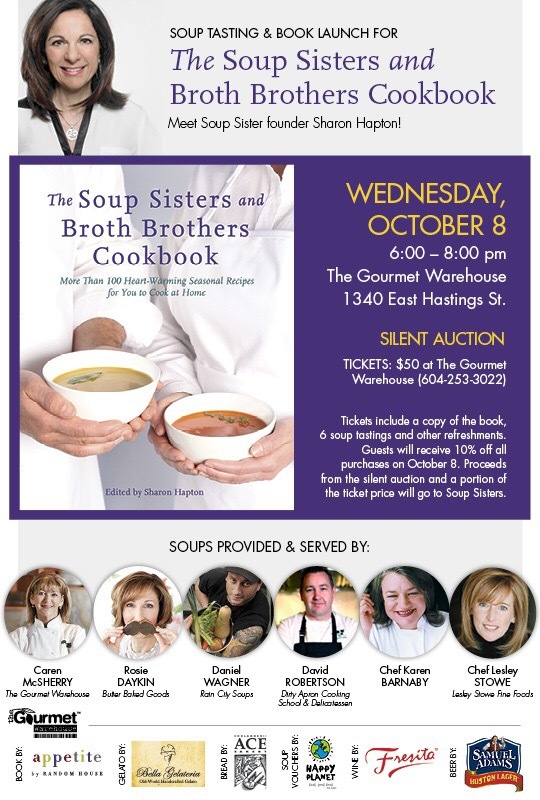 Call the Gourmet Warehouse for tickets to this great event! 604-253-3022 or purchase in store 1340 East Hastings street. Looks to be a great event full of fun and flavors! Do you get unexpected guests? This recipe is so easy that you can just throw it together in no time! 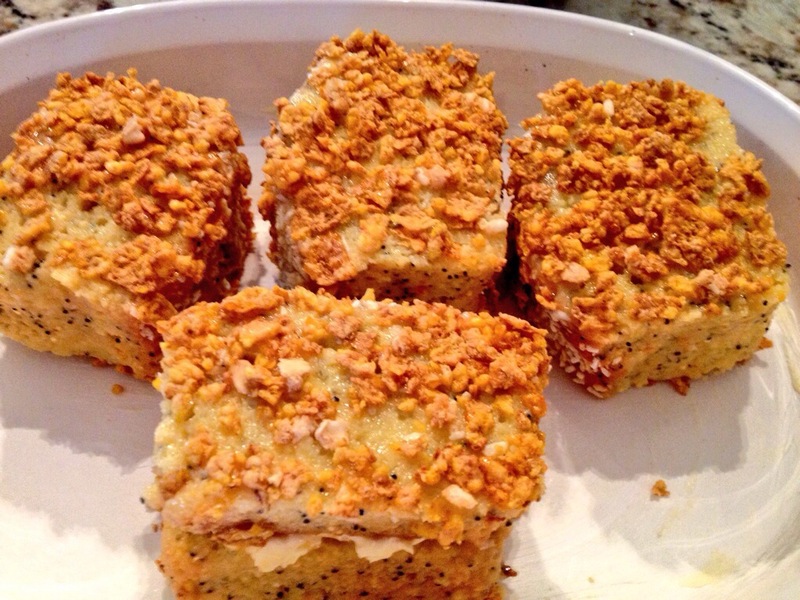 It’s so tasty too, you will definitely impress your guests. I like to make this around “that time of the month”. I’m usually lazy, and crave warm chocolate! This pie hits the spot when it comes to any chocolate cravings. 1. Preheat oven to the temperature stated on the cookie dough package. 2. Unwrap the 16.5oz cookie dough and press into a 9 inch pie pan. Press on the bottom and up the sides. 3. 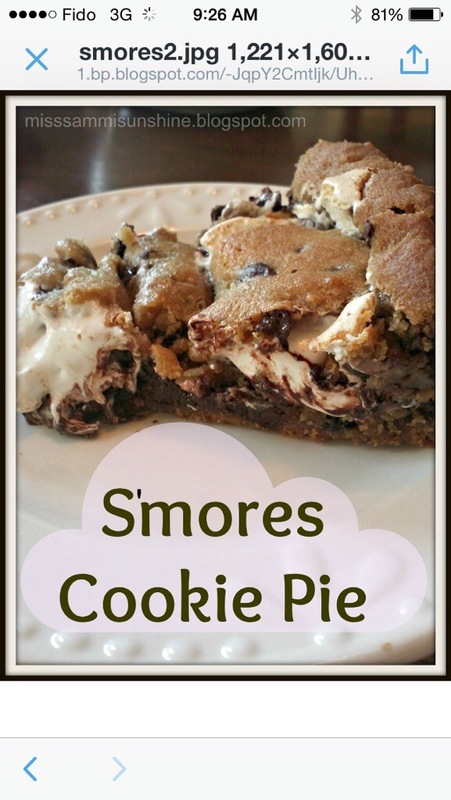 Empty the marshmallow fluff on the cookie dough crust and spread evenly. 5. 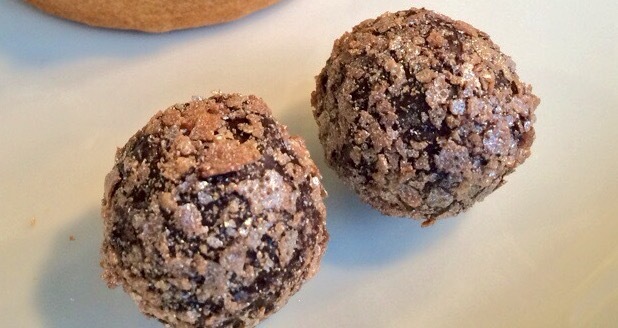 Open the 8.25oz tube of cookie dough, grab some in your hands, roll and flatten dough. 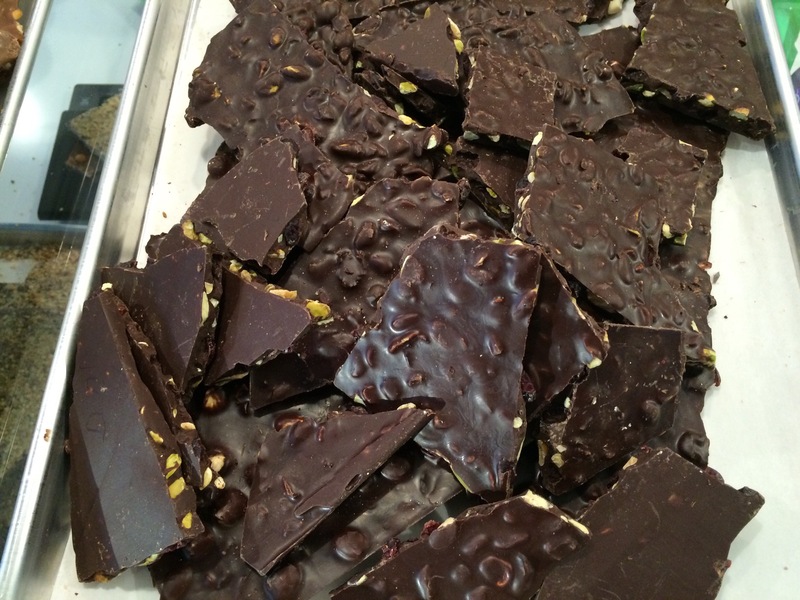 Place flattened dough on top of the chocolate chips. You can flatten a big piece and take care of the top of the pie in one fell swoop, or, you can flatten smaller pieces and place them so they cover evenly. 6. Bake the pie the amount stated on the cookie dough package, or until its golden brown. 7. 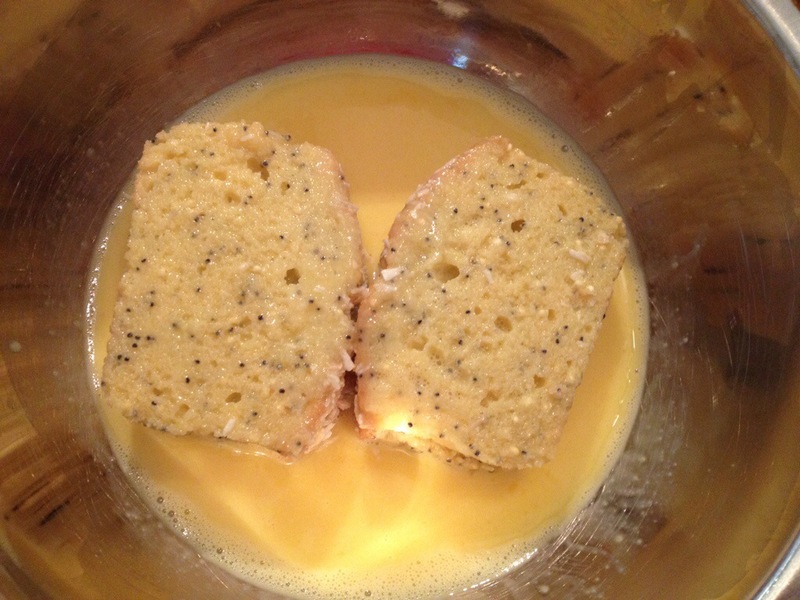 Cool completely(if you can handle waiting) and serve with a tall glass of ice cold milk! Happy Canada Day to ALL! 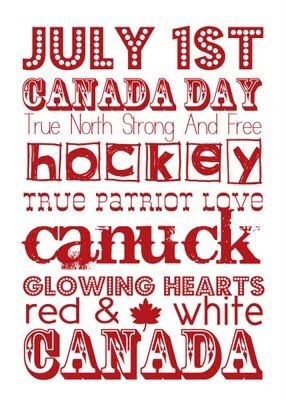 Happy Canada Day to all of our Canadian Friends !! 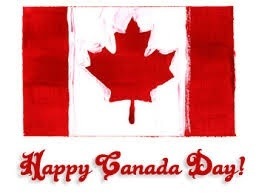 We hope your all enjoying Canada’s birthday with friends and family! Eat well, get out and enjoy the sun and spend time with the ones you love! The Eat Vancouver Food and cooking festival is right around the corner! As in the past you will see new and innovative food products and be able to try many tasty treats. Michael P. Clive. Check out the stage schedule, you don’t want to miss seeing ALL of these superstars! The Vancouver lower mainland is blossoming into a culinary wonderland. 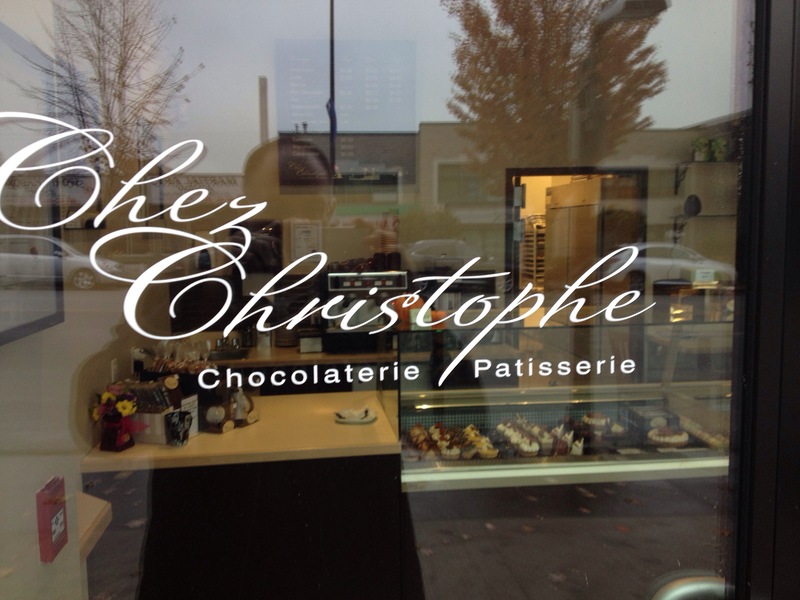 Just about 1 year ago Chez Christophe opened their doors in Burnaby BC. Location: 4712 Hastings Street, Burnaby BC. 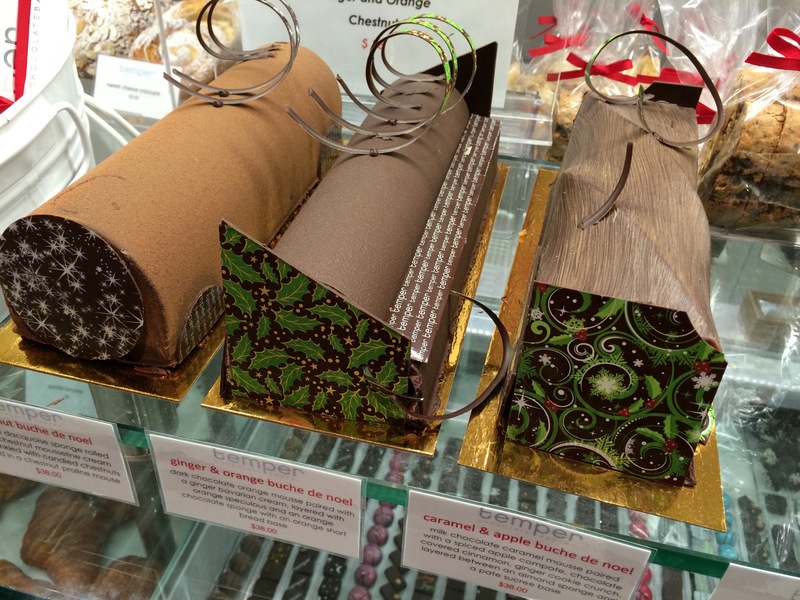 Swiss born Christophe first discovered his passion for chocolate and the age of ten while he was helping his mother make truffles for Christmas gifts. Christophe’s resumé is studded with a decade full of intense apprenticeships and coursework in the fine art of pastry and chocolate, both in his native Switzerland and in France. 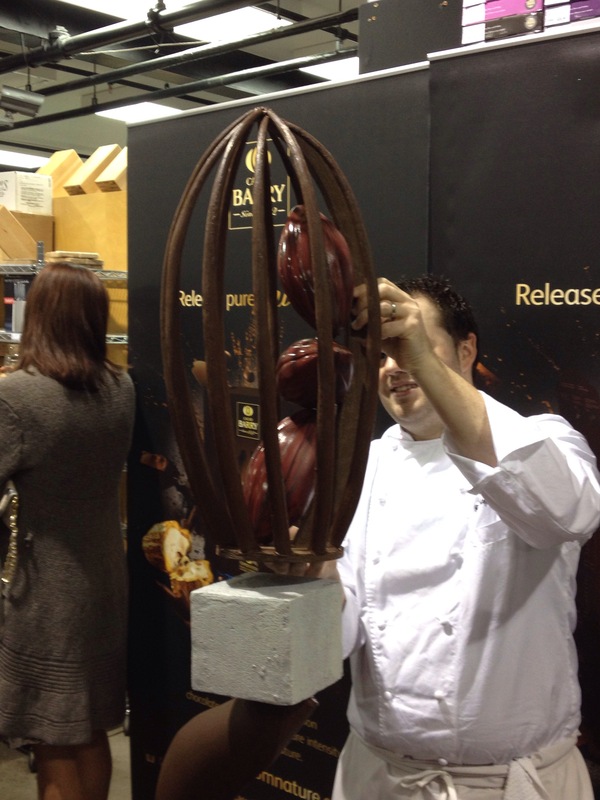 Amongst many other institutions he has studied under some of Europe’s grand masters at Zurich’s Chocolate Academy, and at l’Ecole du Grand Chocolat Valrhona in France. Various professional postings followed, including as pastry chef at Confectionary Schneider in Switzerland, followed by Choux Cafe in Western Australia. 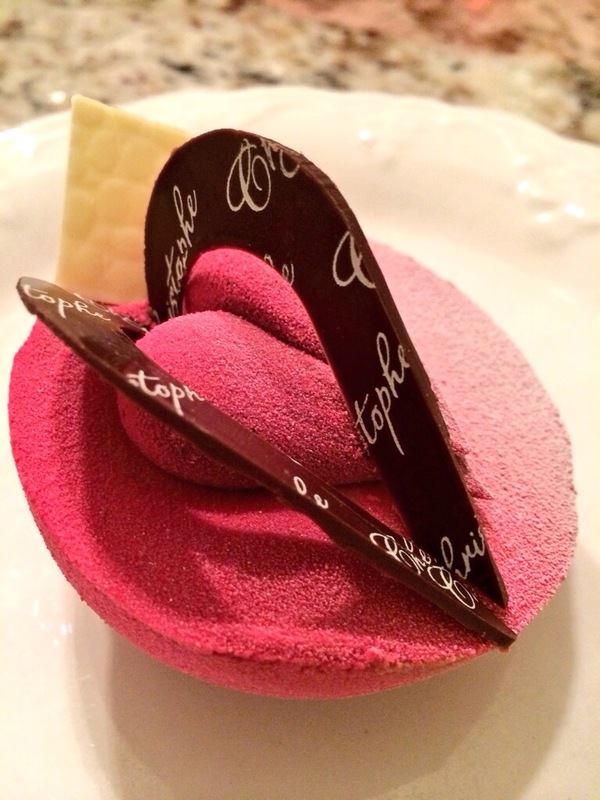 Christophe worked as an Executive Pastry Chef at one of the finest French Pastry Shops in Perth. The quality and aromas are noticeable from the second you walk in the door. Christophe will always find his way to say hi to all that walk in the door or at the very least a friendly wave from behind the finishing room that you see through the glass. 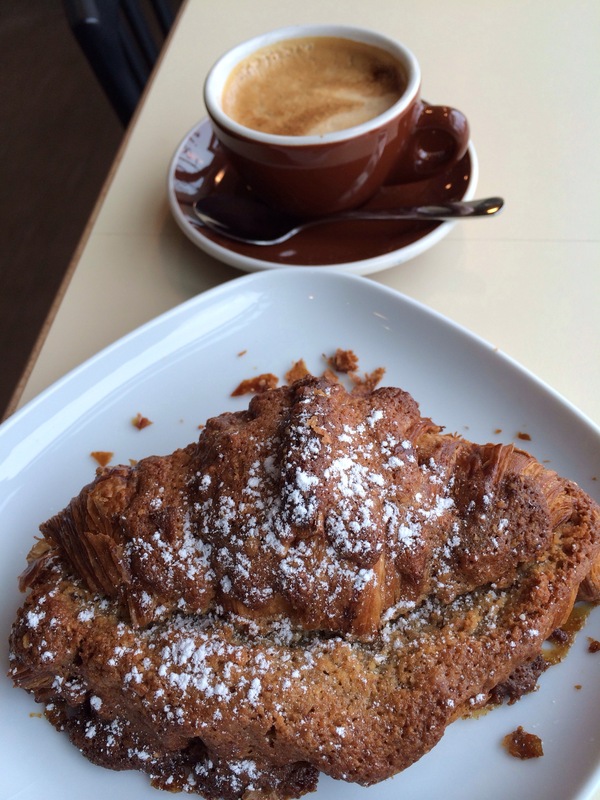 or one that is filled with extra treats like the double baked maple pecan croisssant to warm your tummy. 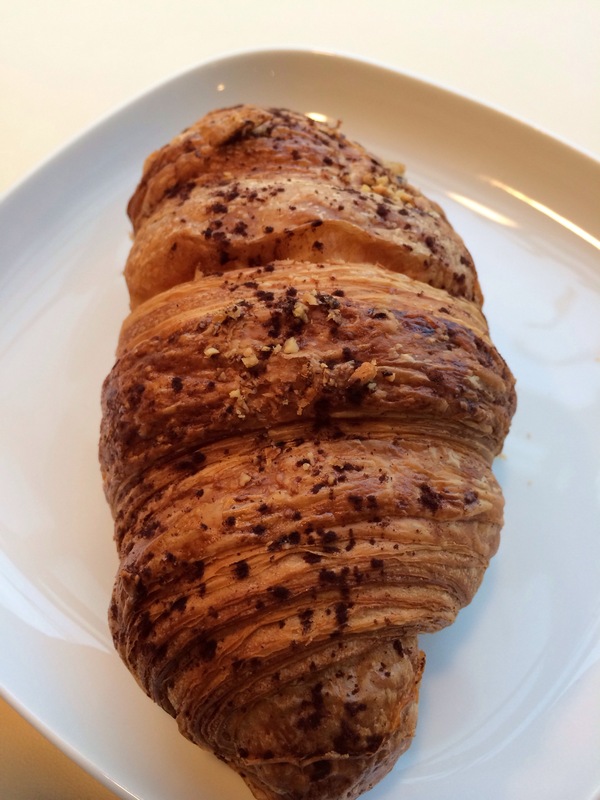 The pastry is light, flakey and buttery just as you should expect from a traditional croissant. And enjoy it with a fresh cup of coffee of your liking. 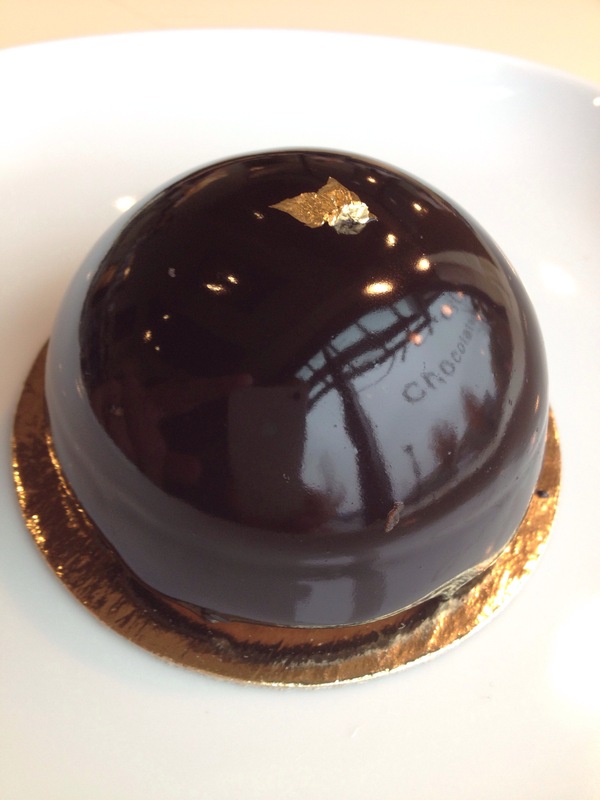 From looking into the pastry showcase your eyes are quickly are pulled to the chocolate and sweet pastry / cake showcase and your mouth likely will start to water at the delectable treats in front of you. 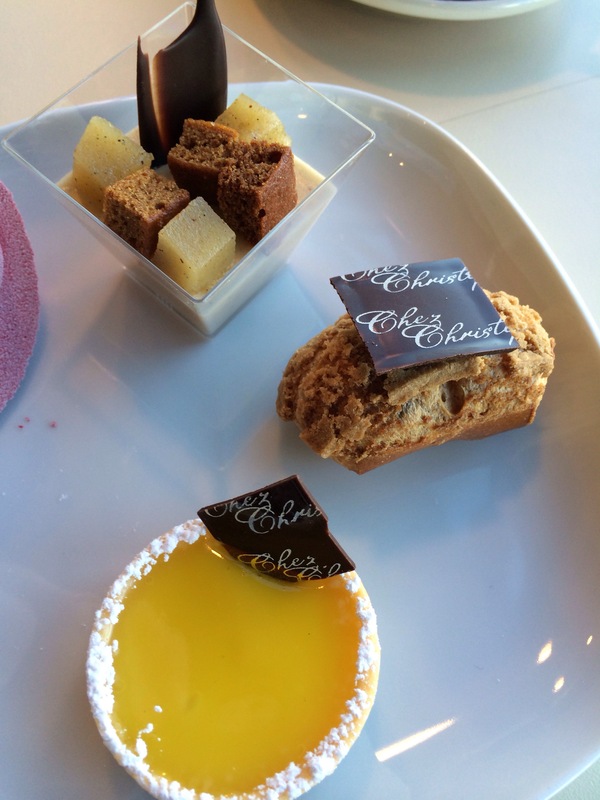 You will surely recognize some flavor pairings but also notice some creative twists created by Chez Christophe. Which is layers of light, dark and white chocolate mousse with a dark sponge bottom and a ganache like top all that truly melt in your mouth like chocolate silk. We had a special occasion that we needed a special cake for and we chose the Treo with a special show piece. As well as good old favorites like eclairs and lemon tarts to name a few. 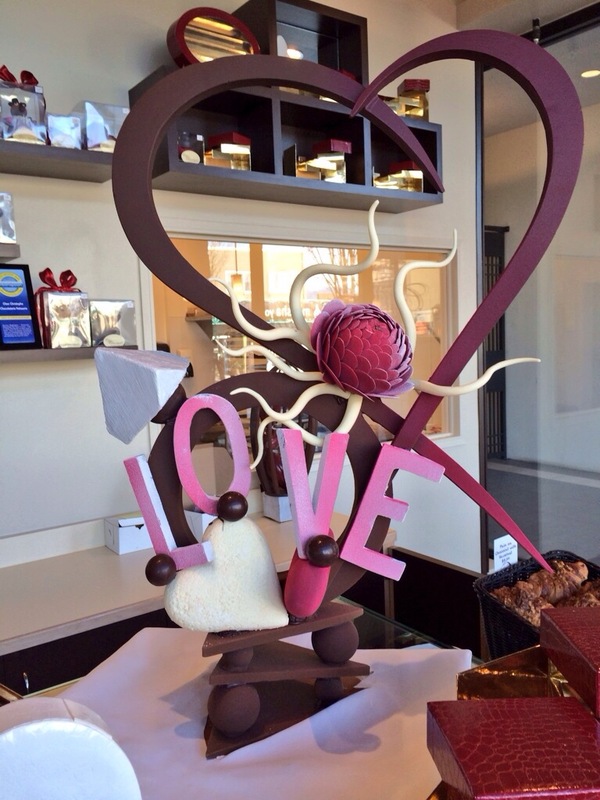 For special occasions Chez Christophe’s creativity and experience explodes Into exponential ways…. 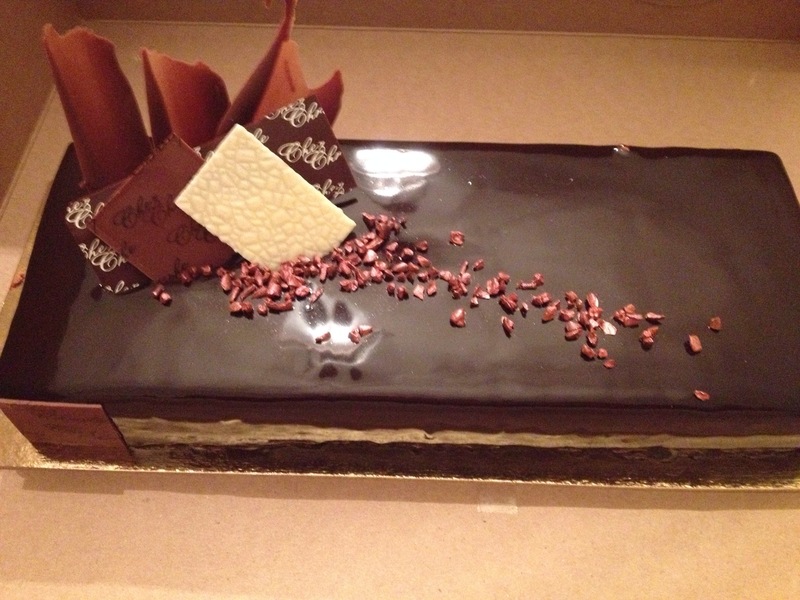 A quality patisserie that will bring you back again and again! 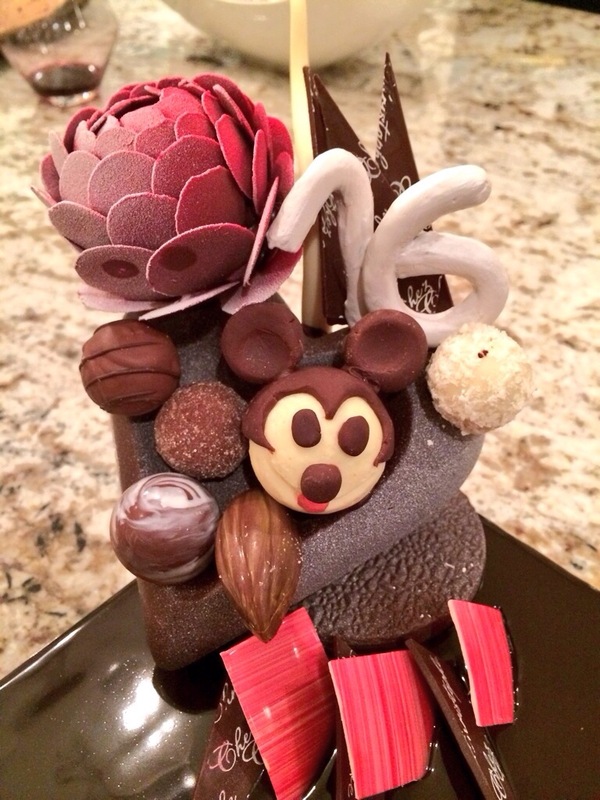 Creative, friendly and a chocolate master to be sure! The word chocolate alone is enough of a reason to attend this wonderful event I assure you. The list of Chocolatiers should be your reason to drool at the thought of what creations these masters of the coveted love candy will create for this years festival! The Vancouver Hot Chocolate Festival Runs January 18 through February 14. 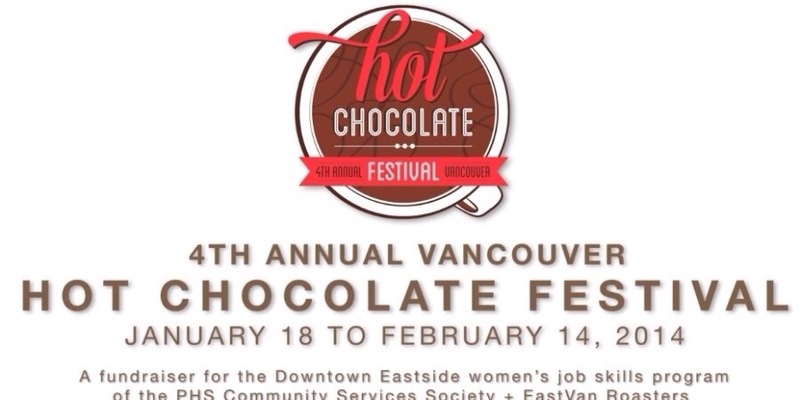 Funds raised from the 2014 Vancouver Hot Chocolate Festival will be donated to the downtown Eastside women’s job skills program. This delightful twist on French toast was something that I dreamt up before the holidays and I am finally getting around to sharing! These flavours were literally out of this world! 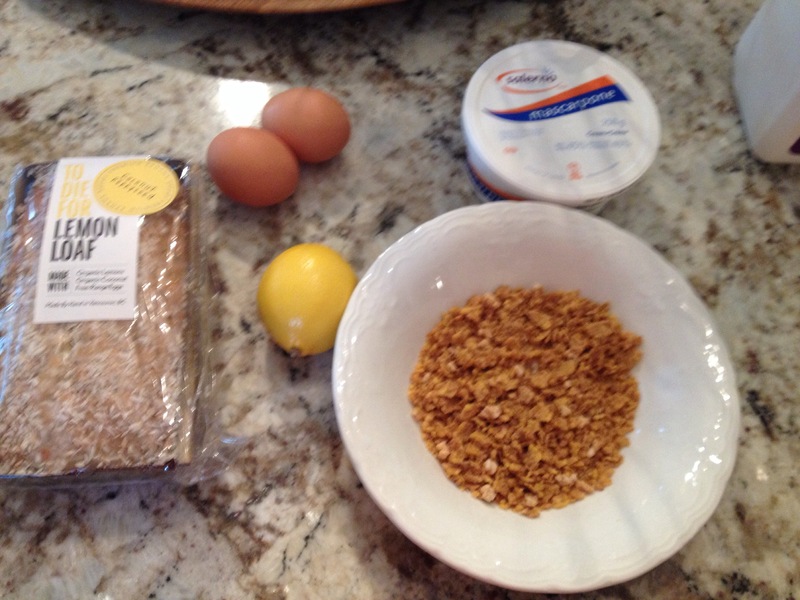 Of course I truly have to give most of the credit to To Die For foods as the lemon loaf all by itself is incredible. 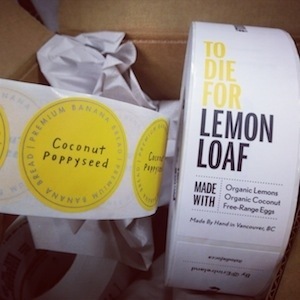 Why To Die For Lemon Loaf you ask? Forget the artificial flavouring and the bottled lemon juice. My ‘LL’ wouldn’t touch it with a ten-foot-pole. It will contain the juice of organic lemons, which I will juice myself. Toasted organic coconut flakes and light organic coconut milk add that hint of je ne sais quoi to the creamy (yet non-lactosey), moist loaf. The main thing I believe most lemon loaves are missing is texture. Plain old cake texture justdoesn’t do it for me. This new loaf needed something new and exciting. Some crunch. 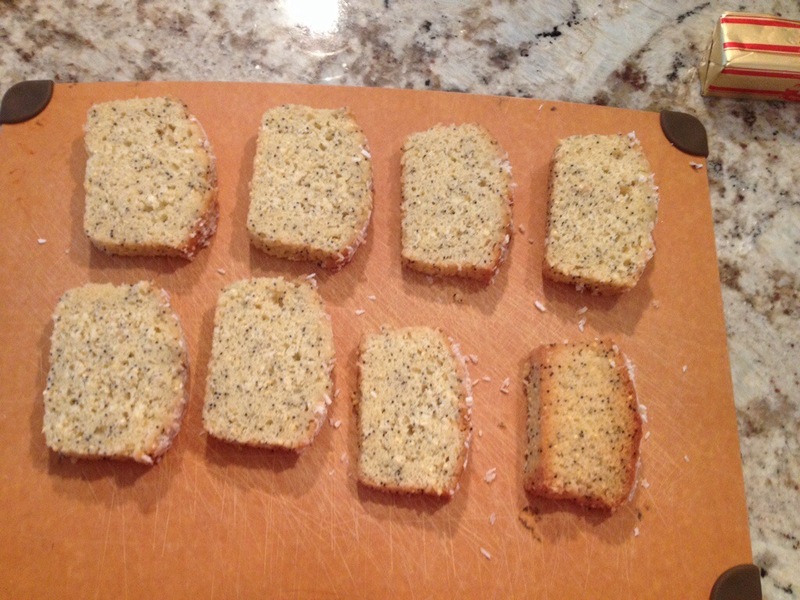 So I added classic poppy seeds and toasted organic millet. Not too much, just enough to add someoomph to each bite. I’m kind of obsessed. You should try it in your home-made loaves. Like To Die For Banana Bread, it’s made by hand in small batches. In a separate bowl put approx 1/2 cup of mascarpone (more if you are making a larger batch) and squeeze the lemon juice as well as add the lemon rind to the mascarpone and blend together until smooth. 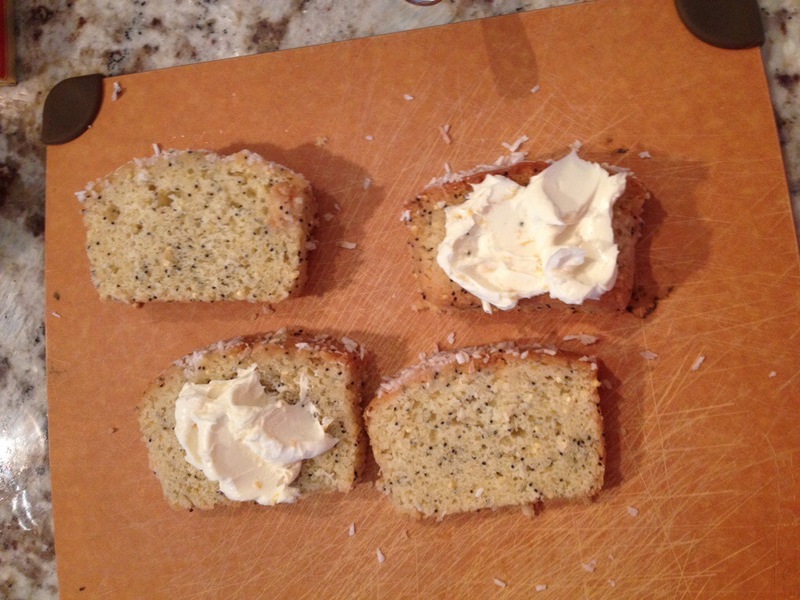 Now spread a healthy amount of the mascarpone mixture on both slices and then put them together. In another bowl break the eggs and whip it with the milk until light and frothy. Now carefully dip the already stuffed lemon loaf in the egg mixture making sure that the liquid does cover and soak in enough. When golden brown remove from the oven, plate and serve with your favourite topping.